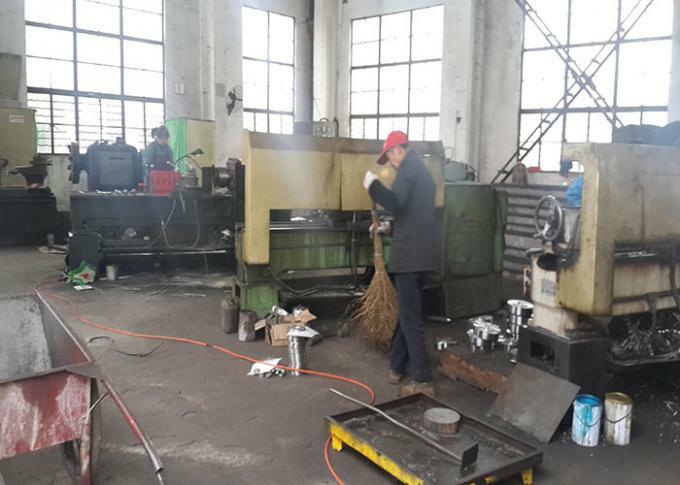 3 Used in: PS-38A-type reduction of the machine is a single head shrink tube holes to produce two pipes each time, greatly improving production efficiency. PS Series hydraulic automatic reduction of the machine, based on the introduction of foreign advanced technology, the company developed these new products. 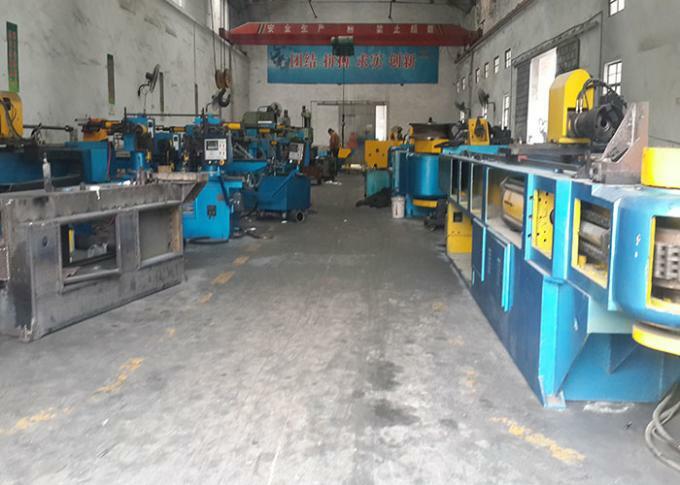 The machine is controlled by PLC,hydraulic driven,dialogue type operation. Electrical and hydraulic components are imported. 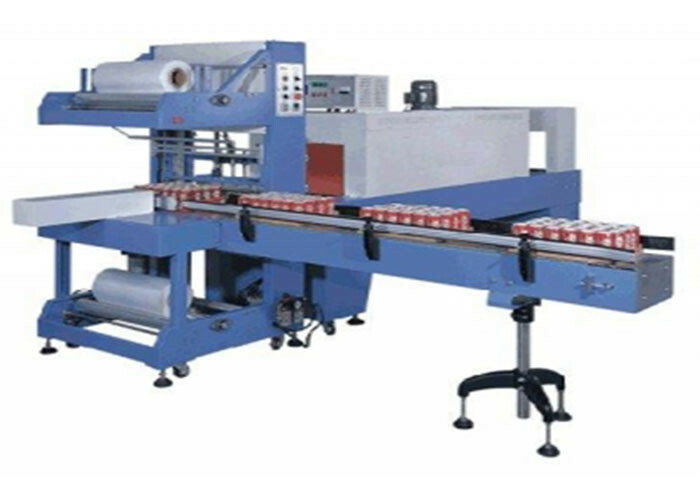 As a result of strong memories, no contacts PLC control,The machine is of better quality, more stable, easier to operate, and do not need professional and technical personnel to complete the operation of the machine. Mobile pedal switch with start, stop, stop and quick start three functions, Higher security, manual / automatic, once / twice, flexible options. With replacement of a different mold to be completed shrink tube, flaring, Dun tendons, and other internal and external flange tube end forming production requirements, Machining shapes include concave section, long, bias, square, ramp extension, V-type, regular polygon, symmetrical polygonal openings elbow, elbow and other flat. Mold replacement faster, more convenient and easier for flexible production. PS-38A-type reduction of the machine is a single head shrink tube holes to produce two pipes each time, greatly improving production efficiency. The main part of the machine consists of transmission mechanism, clip feeding mechanism, telectrical and hydraulic systems. .While working, the machine is rotated by a motor driven pump, to supply pressure oil, together with orders given from PLC to control each solenoid valve turned on and off , So that each cylinder takes action in a certain order and regularity to bend the pipes. So that each cylinder works in a certain order with the rule of action and under the action of the mold, to achieve the purpose of forming the pipe end. 3,Press the "hydraulic start" button,ectrical work, the pump is started (note the pump rotation), Adjust the pressure: press the manual pinch, back clip, during returns do not release any of a button, Pressure gauge shows the system pressure,At this point the pressure relief valve to adjust the rotation handle, e pressure is adjusted to the desired pressure is about 10MPa,Depending on the pipe deformation resistance,Should not be too high,Avoid temperature rise and hydraulic parts to wear faster. 4.Before automatic operation, check whether the selected switch is correct, whether the reduction of stroke is correct. After the first test run, then the load operation, to ensure safety. 1,Place the machine on a fixed horizontal surface and the calibration level, the machine is stable. 2,Check the oil level before use, to keep the hydraulic oil target position in 1/2 or more. 3,Check the motor rotation, such as rotation error, please adjust the power wiring. 4,When the state machine automatically, please confirm the accuracy of the input data. 5,When the machine is operating, safety, the hands, the body, such as near the action area is prohibited. 6,People must be dedicated machine operation, and the operator should be able to reach and stand within the scope of the emergency stop button. 8,When remove mold, must turn off the power. 10,Keep the machine and the environment clean. 11,Not allowed to work in the dust, conductive particles and acids and other places.